The M-series Mitsubishi Mr. Slim ducted heat pump air conditioners with R-410a refrigerant are perfect for use in residential and light commercial applications. Whisper-quiet and extremely reliable, these systems go where traditional systems can't â€“ Computer and phone rooms, room additions, music studios, and small offices, to name just a few. The popular, proven and best selling Mitsubishi Mr. 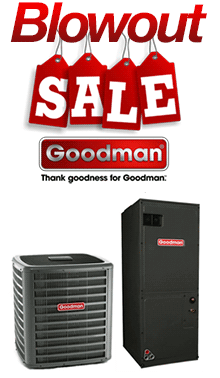 Slim air conditioning systems have two basic components: an easily installed indoor and outdoor unit. For many years, ductless split air conditioner systems with wall mounted indoor units have been the quiet solution for cooling and heating problems around the world. Now, if you are looking for indoor units that can be installed completely out of view in either a ceiling or beneath the floor, the SEZ series indoor ducted units are the ideal alternative to extensively ducted central systems. One indoor unit can be ducted to two adjoining rooms, providing comfort in two spaces with minimal ductwork and installation effort. That means that a multi-zone system with two indoor units can discretely heat and cool up to 4 rooms. These systems are similar to a central system in that the compressor is outside, eliminating the noise associated with wall-type units. The indoor section is extremely quiet and is tucked away from view in either the ceiling or below the floor. Each indoor unit can heat and cool up to 2 adjoining rooms. The MXZ-2B20NA multi-zone system is perfect for schools, hospitals, and homes where multiple room heating and cooling is desired but extensive ductwork is impractical. The Mitsubishi Mr Slim Multi-Zone System is truly flexible to meet your specific needs and can cool and heat 2 separate areas (up to 4 individual rooms) that you select. Choose from up to 4 different indoor capacity combinations (don't worry - we'll help make the selection easy). Each of the 2 selected indoor sections can be independently controlled , separate and apart from the other zones with the handheld, wireless remote control programmable thermostat. Is it on ? That's the first thing our customers ask when their new Mitsubishi split system is started up for the first time. In fact, the computer on your desk may make more noise than the low speed fan setting on most Mitsubishi ducted split systems. With indoor decibel levels of as low as 23Db, you won't even be able to tell when the system is actually operating. To put this in perspective, a human whisper is in the range of about 40Db and a quiet refrigerator is around 48-55 Db. A decibel rating of 23 is inaudible even at very close range. You simply cannot buy a quieter system. The Mr. Slim ductless split system is the perfect answer for spot cooling or heating uncomfortable rooms without the expense associated with a traditional centrally ducted system. Proven performance, long-term reliability and ease of installation make the Mr. 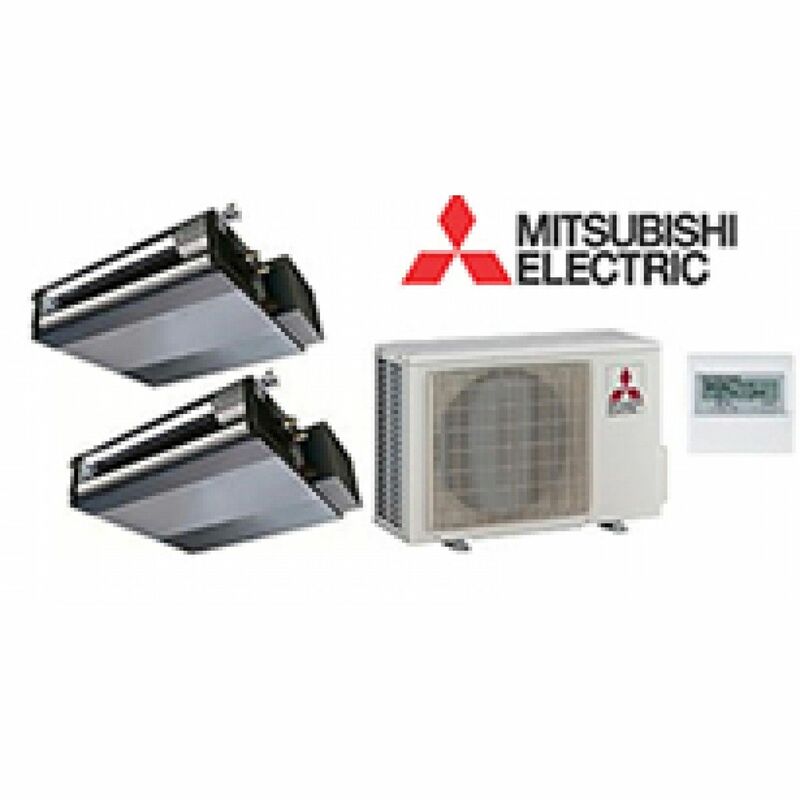 Slim M-Series ductless air conditioner by Mitsubishi the smart and cost effective choice. We all know what air conditioners and heat pumps can cost to operate but forget everything you know and consider the penny: That's right the penny. Because as little a 5 of them will get you one hour of comfort with this new Mitsubishi Ductless Split System. . The Mr. 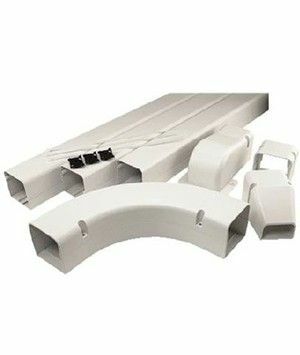 Slim split system is the perfect answer for spot cooling or heating uncomfortable hot or cool rooms without the expense associated with a traditional centrally ducted system. Proven performance, long-term reliability and ease of installation make the Mr. Slim M-Series heat pump by Mitsubishi the smart and cost effective choice. 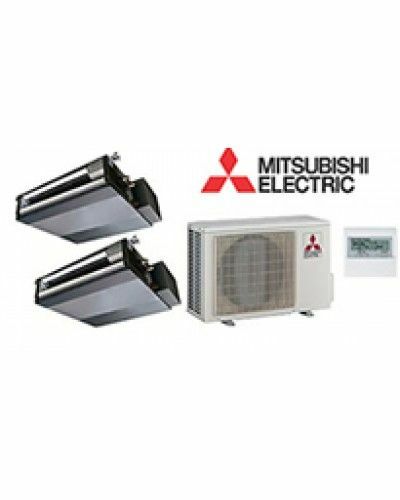 Mitsubishi is world-renowned for the quality and durability of their ductless split systems. In fact, we have never encountered a more dependable heating and air conditioning system, period. Our warranty experience with these systems is outstanding and second to none. Our customers are ecstatic with both the quality and performance of their Mitsubishi air conditioner system, each and every time. The air conditioning and heating industry experiences an average failure rate in the United States of about 4%, or about 4 system failures for every 100 units built. The Mitsubishi Mr. Slim enjoys a failure rate that is only one-eighth of the industry average, or one-half of 1%. This means that Mitsubishi will need to produce about 800 systems to experience the same 4 failures. That's quality the way it should be. You may find a system that is slightly less expensive upfront, but nobody beats Mitsubishi's total overall cost benefit that comes from rugged durability, parts availability, and ease of installation. Mr. Slim SEZ ducted indoor units provide a cost effective alternative to traditional central systems that require extensive ductwork to function. These amazing systems locate the indoor unit in the general area where heating and cooling is needed, utilizing short- run ducts to evenly and quietly distribute air throughout the space. This means easy installation and less mess. These functions include a two-speed fan operation, Cool, Heat, Auto, and Dry operating modes and a programmable 24-hour timer for convenient, customized cooling on/off periods. The self-diagnostic LCD display quickly detects malfunctions and even pinpoints the location. For residential homes that are well insulated about 15-20 Btu's per square foot is normally sufficient. For the top floor in a multi-story home about 25-30 Btu's per square foot is required.